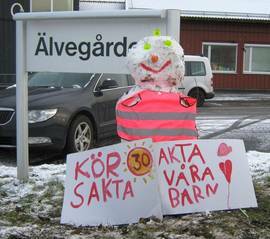 The Swedish participants of the "Ga och cycla till Skolan/Walk and bike to school" Campaign of course joined us again. The campaign, organized by Trafik Kalendern, wants to inspire pupils, parents and teachers to travel in a smarter and healthier way - simply by walking, cycling and public transport! 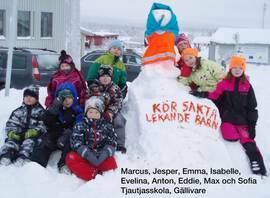 The activity is intended for all Swedish students and educators in year F-6. 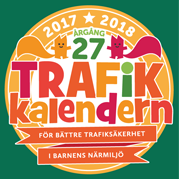 During any two weeks in September-October, the participating schools gather as many respoäng (travel points, divided into "Gröna, Gula e Röda Prickar") as possible by walking, cycling or taking public transport to and from school. The purpose of the challenge is to not only promote the health of children and young people, but also to contribute to a better environment and road safety. In 2017 there were over 40,000 children in 320 schools involved and of course cycled, walked or used public transport for their journeys to school. As they decided to collect until the very last minute, we haven't had their results for this years handover. 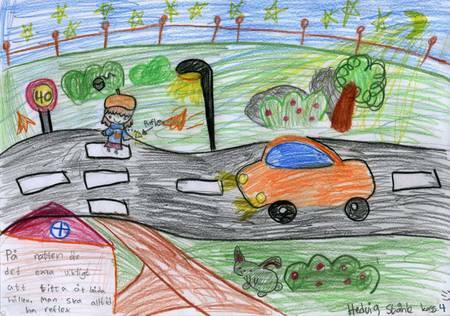 Besides collecting 'gröna, gula e röda Prickar' the children tried to advice car drivers to drive slowly and to be aware of children crossing the road.